My friend Diana is a crafty Mum and always organises fun activities at playdates. For a recent Frozen screening she handed the other Mums and I a pack of Pebeo Porcelaine 150 pens and a plain tea cup to have our own craft time while the kids sung their hearts out. How good is that! 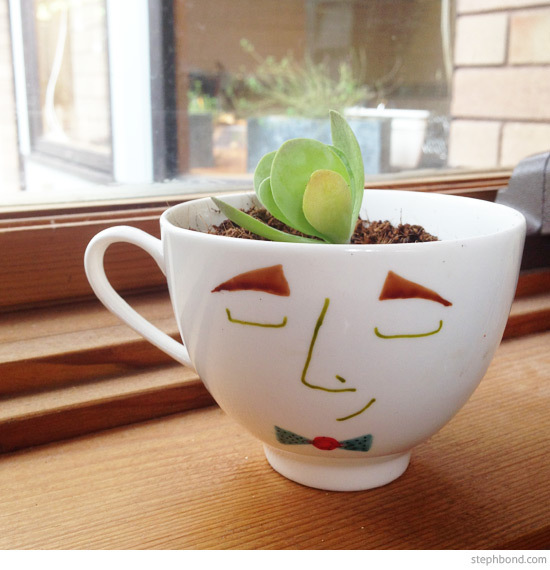 I made this little two-sided character and potted it with a mini succulent. You could get the kids involved and make one too for Father's Day. Use a steady hand and draw a face on each side. Wait until it has dried and then pop the the tea cup into a cold oven and heat to 150 degrees Celsius. Once it has reached 150 degrees, bake for 30-35 minutes. 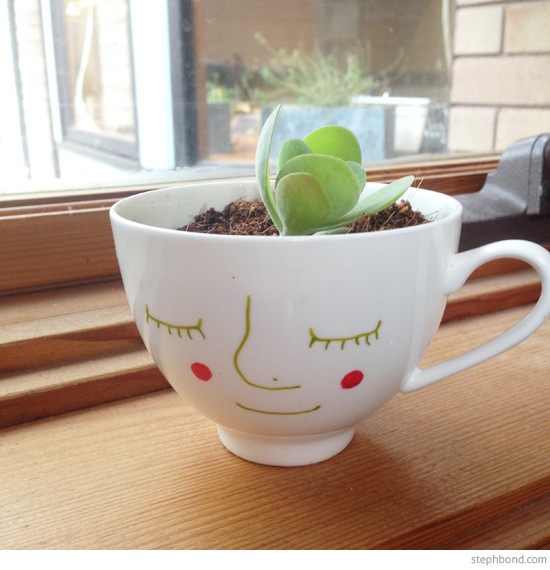 Allow to cool, and then add potting mix and a little succulent or any plant that doesn't require drainage (I used a pup from another succulent plant). Super cute and easy!